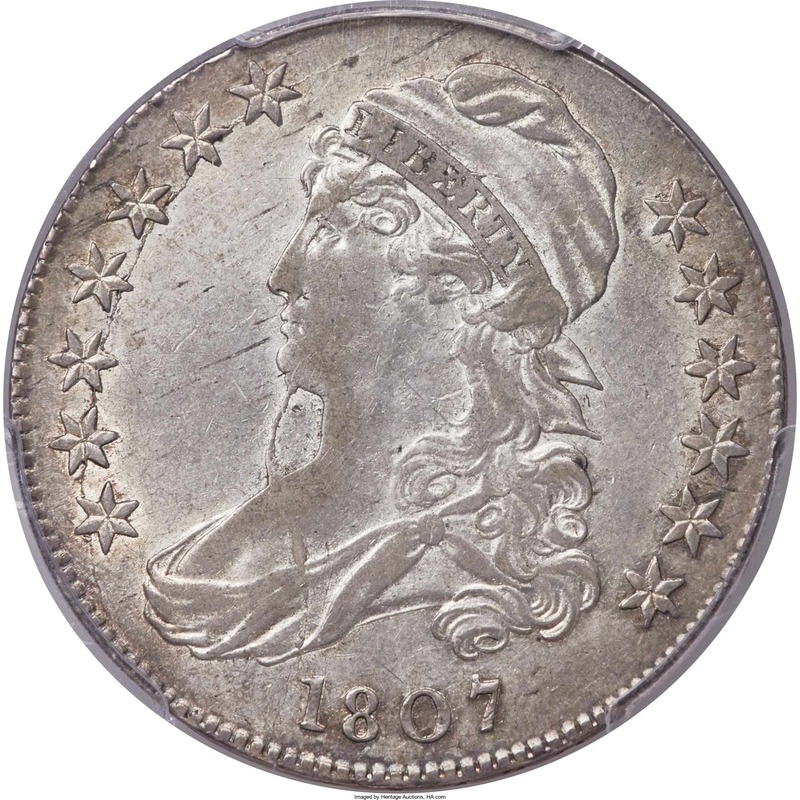 One of the most spectacular obverse die breaks on a Bust half dollar occurs on the 1805 O-103 die marriage! 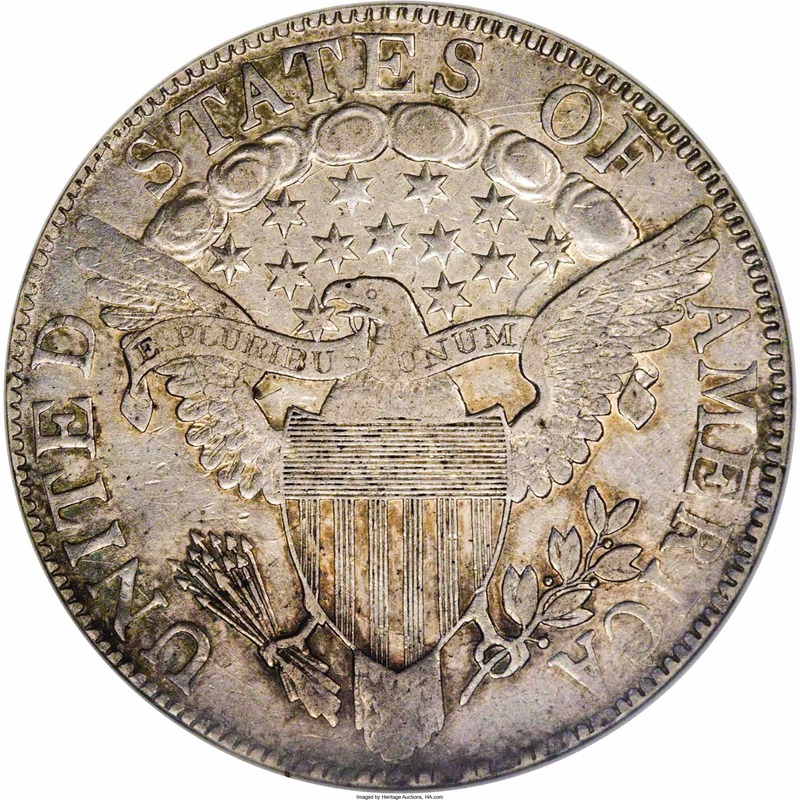 A heavy die break from the edge between the Y and star 8 extends to the nose, across the bust and curls, and eventually splits to form a large, triangular break on the die covering star 1 and most of star 2. Most students of the series believe that this triangular section does not break completely out of the die per Overton, but well worn specimens may show little or no detail in that area. 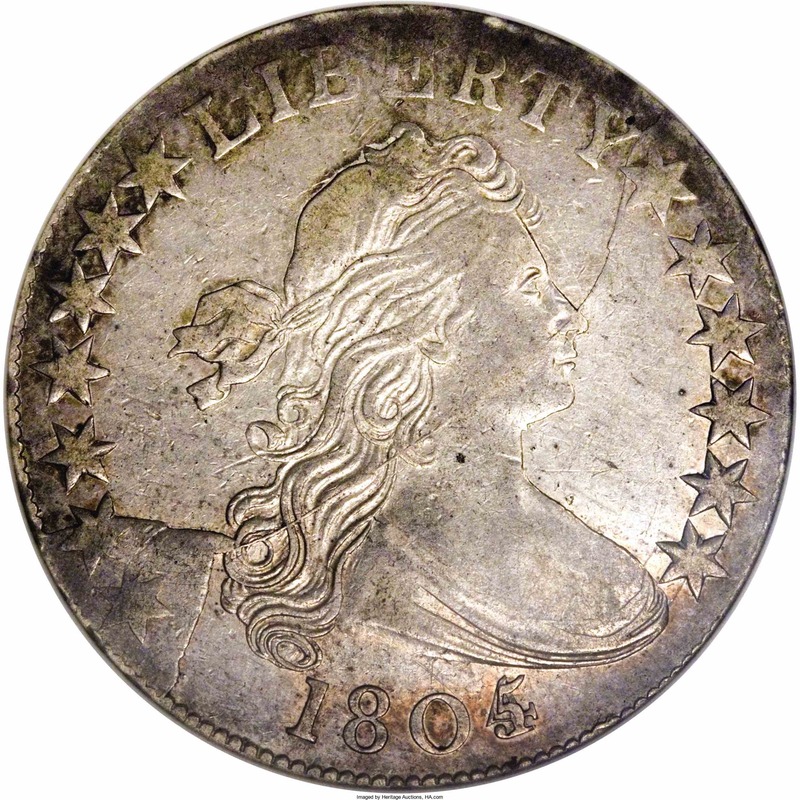 This splendid specimen of the very late die state of 1807 O-111b "Bearded Goddess" displays all die cracks as described in Overton in glorious detail. 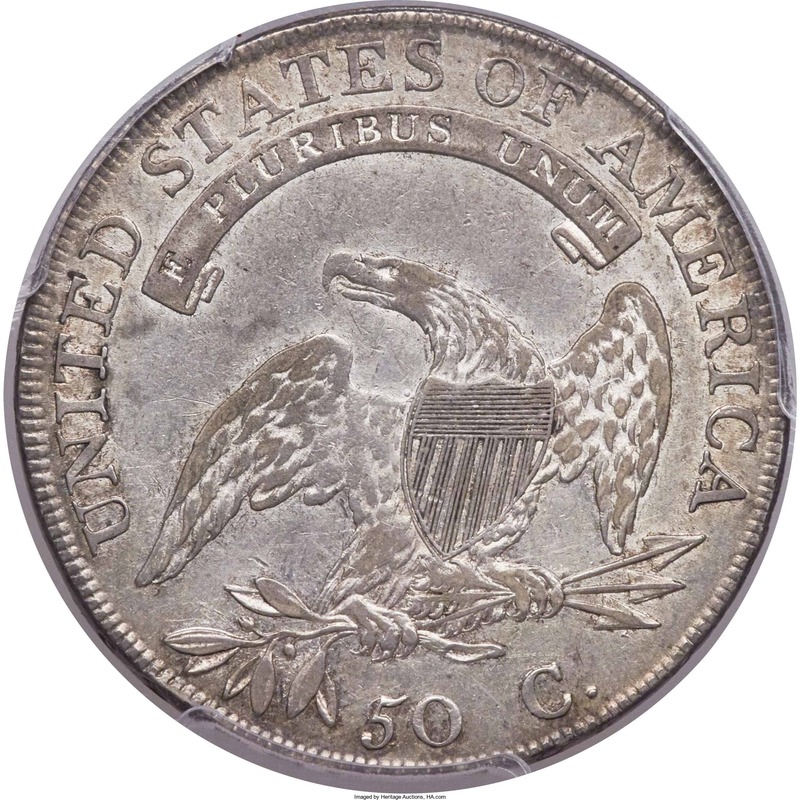 The 5 in 50 on the reverse was punched over an inverted 5.